This is not your mother's memoir. In The Chronology of Water, Lidia Yuknavitch expertly moves the listener through issues of gender, sexuality, violence, and the family from the point of view of a lifelong swimmer turned artist. 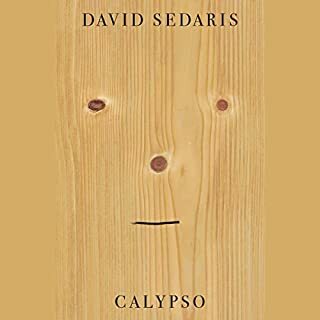 In writing that explores the nature of memoir itself, her story traces the effect of extreme grief on a young woman's developing sexuality that some define as untraditional because of her attraction to both men and women. In the brilliant opening story, "The Shared Patio", a woman longs to share her neighbor's life, but learns that her fantasy of him has no resemblance to reality. In "The Swim Team", a young woman teaches three elderly citizens in a town with no water how to swim. A man who works at a leather factory gets set-up by his co-worker for a date that never arrives in "The Sister". In "Something That Needs Nothing", a young woman's job at a peep show changes her identity in the eyes of her friend, allowing their relationship to take a different course. In these stories, Miranda July shows a remarkable skill for inhabiting the hearts and minds of a varied cast of characters, imbuing them with a tenderness and humanity that is the mark of a great writer. 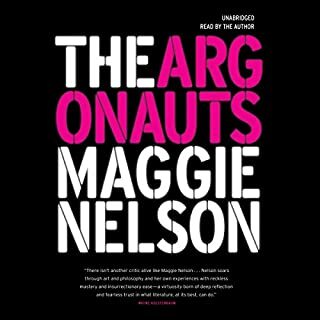 Having listened to audiobooks for over twenty years, this is one of the best. Wanted to re-start it after it was finished. The author paints unbelievable secnarios, that stretch the imagination. Ordinary thoughts suddenly have extraordinary outcomes. Characters are complex, disturbing and likeable. It has been a along time since I have been so in awe of sheer writing. A wonderful collection of stories that could only have been written by Miranda July. 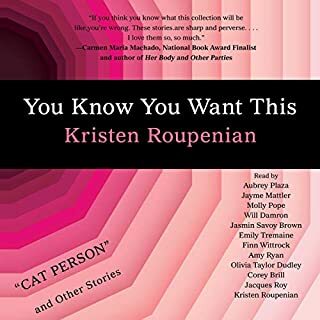 The entire audiobook is filled with her unique brand of awkward comedy. As strange as it may be, it almost feels organic, as if these were real stories, filled with details. No one else could have read it as well as she did. Must have for any Miranda July fan. No one compares to Miranda when it comes to describing the many many strange feelings and parts of human nature previously unattended by other writers. 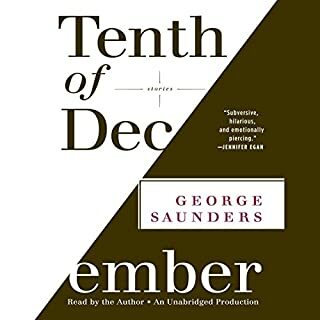 Where does No One Belongs Here More Than You rank among all the audiobooks you’ve listened to so far? She has the capacity of twisting the stories in a way you never know what to expect. Her characters are deeply complex. What about Miranda July’s performance did you like? One of the best things of the book is the fact the author is reading her stories. It is a book you can listen story by story, but you need to listen to the complete story before pausing it. Awesome book. Great narration by the author. There were a few things I disliked, but these minor things didn't take away from the overall audiobook. The author should quit writing and narrate audio full time. I imagine that this book is a great book to read in any format. July's vivid descriptions and attention to detail create a landscape that the reader lives in completely for the span of a short story. But the vocal performance by July is a work of art in and of itself. She inhabits every character adopting their tone and cadence, expressing their fears and insecurities through subtleties of pitch and volume. She becomes old women and middle aged men and children as they grow up and in all of these roles I find her entirely convincing. 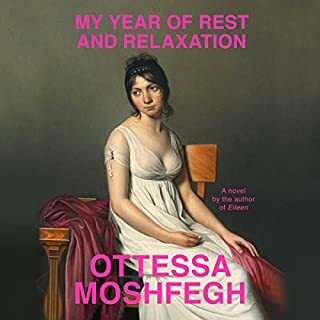 This audiobook is a piece of art that one can experience while biking, walking to the train, doing dishes, or just lying spread out on the bed. 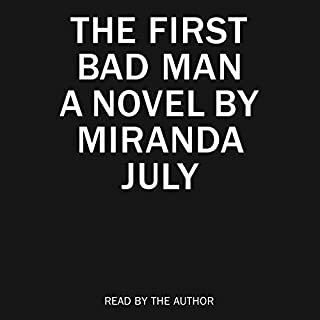 PS: Miranda July fans can spot in this collection the early iterations of several characters that appear later in her novel The First Bad Man. As I said, it was depressing. It's well-written and interesting actually. It made me sad, but I listened to the whole thing bc it was good. Would you listen to No One Belongs Here More Than You again? Why? Yes because Miranda July describes people's interior mental states as well as anyone besides David Foster Wallace. On that score, she's even better than George Saunders. july's ability to capture the essence of the human spirit is both wonderfully beautiful and tragically sad. offering readers a glimpse into their own perverse natures, july is able to surprise while terrify. a must read!